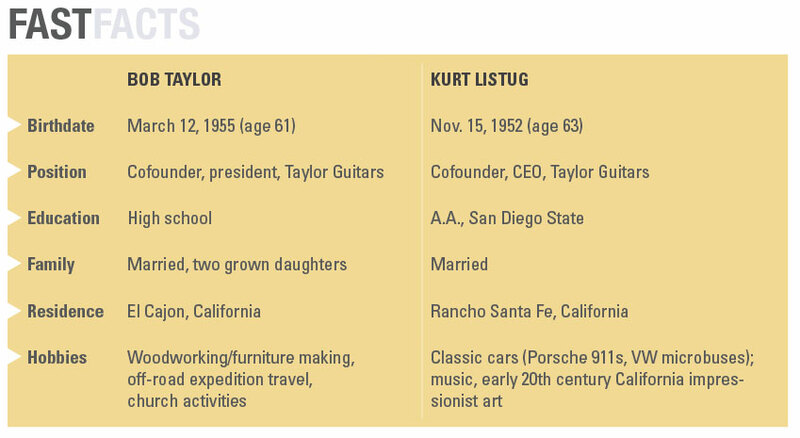 The careers of Bob Taylor and Kurt Listug, who cofounded Taylor Guitars in 1974, make for a saga that can appeal to opposite poles of the socio-political spectrum. To capitalists, their success exemplifies the potential of a free-enterprise system. At the same time, it underscores the hippie mantra that “doing your own thing” will enable you to achieve fulfillment far beyond monetary wealth. It was the summer of 1973 when the then 21-year-old Listug and 19-year-old Taylor met at a musical instrument repair shop in California. Both wanted to be in the music business, and the shop became the wellspring for their partnership. 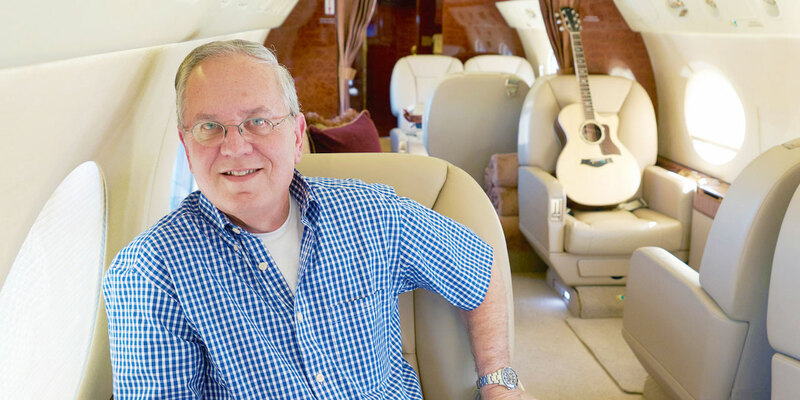 Today, Taylor ranks among the world’s most-respected and top-selling acoustic-guitar brands, and the pair—who purchased a Gulfstream G450 for the firm last July—say business aviation played a key role in its success. Listug notes that chartering business jets two decades ago enabled him to establish invaluable face-to-face relationships with distributors. Taylor, meanwhile, says that flying privately allowed him to visit forests and sawmills and to personally oversee selection of rare tonewoods that help give their guitars their unique sound. In separate conversations, the pair talked about building the company and about the role that business aviation has played. What was it like during the early days, when you and Bob were starting out? Well, the 1970s was an exciting time to be in the music business, and we were excited to be building guitars. Bob was a talented do-it-yourselfer. He came to work at American Dream [a musical instrument repair shop, where Listug already worked] in the summer of ’73. It was a sort of co-op with lots of people independently doing repairs, alterations, and so on. The shop would get a cut of what we took in, and we’d get the rest. How did you get from there to Taylor Guitars? By 1974, I knew I wanted to get into the guitar-building business. I figured I’d need one or two partners and $10,000. I asked my father for a loan. He asked me who the best guitar builder was at the shop, and I said, “Bob Taylor.” He told me to get him as one of the partners, and he and my mother would consider loaning us the money. How did those early years go? From 1974 to about 1982 were tough. Bob would build guitars, and I’d be out selling. Over time, we grew to about $100,000 [annual revenue]. By 1986, production had stabilized at around 22 guitars per week, our make/break point, and we continued to grow from there. We plateaued for several years at $50 million to $60 million. For the past two years, we’ve been at $105 million to $110 million. To what do you attribute that most recent increase? The acoustic-guitar business has been very good lately. Maybe it’s because an acoustic guitar is an analog instrument in an increasingly digital world. Maybe people feel the need for some balance. Why did you decide to use Bob’s name for the company? We figured Taylor was as good a name for a guitar as Martin [a reference to the legendary guitar maker—Ed.]. It’s a great name for an American guitar, don’t you think? Listug? Not so much. What is Taylor’s market share at this point? Between Martin and us, we have about 80 percent of the North American market for acoustic guitars, split about evenly. Given Martin’s 144-year head start, that’s impressive. Well, we have great respect for Martin, but we are different. They build East Coast-style guitars. We build West Coast-style guitars. What do you mean by “West Coast style”? [Chuckles.] I think I’ll let Bob explain that. How many guitars are you producing these days? We’re just completing moving into our larger factory in Tecate, Mexico [about 45 minutes’ drive from the main plant in El Cajon, California]. With that factory running, we’ll be building [a total of] 900 guitars a day, up from about 700, depending on demand. What’s the next step for you, as the marketing side of the partnership? Compared with the ’60s, when everyone wanted to play, now there are so many other distractions. Guitar makers are all looking at where to go from here, and we are, too. For example, we have been working with and supporting Taylor Swift since she was in middle school. It’d be good to see more women play guitar. Can a company influence a social trend? How do you do that? [I think you] keep your head down, just forge on, and then, maybe, you break out into the sunshine. Where do you see your growth markets? Since opening our distribution center in Amsterdam [Holland], we’ve tripled our sales in Europe in the last five years. We could be bigger in Japan. In October I was in Shanghai, where sales are growing fast. North America is still the largest market. International [sales] could be half, but we’re not there yet. How does private aviation fit into your growth strategy? We met Marc [Foulkrod, CEO] at Avjet about 20 years ago, and we began doing some charter. We thought, “Wow, what an amazing tool.” It has always been expensive, but we did it judiciously and strategically. For example, I wanted to visit our top 100 [U.S.] accounts. With a chartered Hawker 800, I could do that in a half dozen easy four-day trips. On the airlines, I couldn’t have done it at all. We’re convinced of the value. What made you decide to purchase your first business jet? Around 2000, prices of [used] jets got hammered. 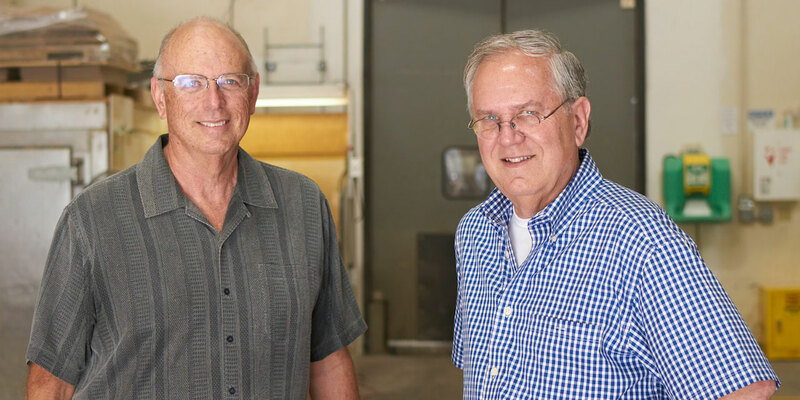 We were growing, and we could afford it, so we decided that rather than larger salaries for Bob and me, adding a business asset meant more. It was a carefully thought-out investment, to extend our careers. What was your first airplane? A three-year-old Hawker 850XP, since we assumed most of our missions would be within North America, though it had the capability of crossing the Atlantic, too. It made our travel comfortable. We actually looked forward to trips. When did you see the need for a more capable jet? For me, most travel was marketing trips to visit dealers. For Bob, it was for visiting designers and suppliers—in Washington state and Belize, for example. Then, when we were starting the distributorship in Amsterdam, we thought we could use the Hawker for those trips, too. But over the next five years, much more of my travel turned out to be visiting European customers, and Bob was exploring new sources of woods all around the world. So you bought a Gulfstream 450. Yes. We needed the range, but also the [more capable] cabin. And the Gulfstream’s support network is global, which was an important consideration. We had to go up in expense, but the difference between the Gulfstream and the Hawker was as great as the difference between the Hawker and flying commercial. Tell me about the airplane. It’s well equipped with business equipment—broadband, a printer-scanner, Internet connectivity—and has a full galley and berthing seats. When we were talking with Marc at Avjet [about setting up the crew], we asked him, “Do you think we really need a cabin attendant?” Well, with all the complexity of the airplane and for safety, yes, we really do. It doesn’t sound like you bought the jet to impress people. For us, it’s a business tool. When Marc’s people were going over plans for the interior, they showed us linens to choose from. [Laughs.] Linens? We didn’t care about linens. We’re kind of brown-bag guys. For a vacation, Bob will go down to Baja in his off-road Land Cruiser and camp on the beach. Has anyone ever criticized your decision to fly privately as self-indulgent or elitist? No one who knows us would think that. Rather than being exclusive, we got the plane to be more inclusive. We use it to connect with people who work for us as well as customers and business partners. Tell me about your usage. We’ll fly the G450 about 400 hours a year. In October, for example, I’m planning a three-week sales trip around the world. Bob has plans to take four people around the world to learn about growing and using trees. You just wouldn’t do that with charter—and certainly not with the airlines. Kurt said you design West Coast-style guitars. What does he mean by that? Well, in Germany in the early 1800s, C.F. Martin Sr. wanted to build and design guitars. But the violin-makers’ guilds in Germany wouldn’t permit him to build instruments. So he came to New York [and later moved to Nazareth, Pennsylvania]. 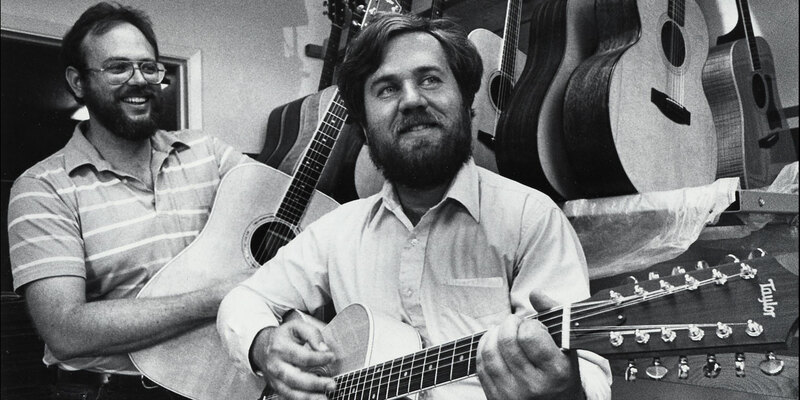 Martin was a great innovator [and the company’s guitars] made the development of American folk music and blues possible. But after that, guitar development halted for decades…and then I was born. I didn’t start out to move the design forward; I just wanted to do something different. The East Coast is more conservative, more traditional, which I respect. But we’re from California. We surf. We innovate. Not as much as I used to. I’ve gotten into other things. What is it about a guitar that makes you love it? Everything, really. The wood. The art. The craft. The mechanics. Trying out a new guitar, I’ll set it on my lap and strum it for about 45 seconds. Then I have to pick it up and peer inside. I’m drawn to examine the craft and the engineering. If I had to give up a part of my life, I think I could quit thinking about how a guitar sounds before I could give up thinking about how it’s built. What makes Taylor guitars different? The bolt-on NT [new technology] neck joint is a big reason; and the Expression System electronic pickups that we developed. But the little things incorporated into the design of Taylor guitars—and the production process—also make them known for being consistently easy to play and great sounding. What makes Taylor different as a company? I think part of it is having a single person as the decision maker on the design. Some companies have so many people involved that they wind up designing by committee. And often, it’s the marketing people who drive the decision. I didn’t want that to happen to Taylor. How do you keep that from happening after you retire? I’ve tried to establish a transition plan. [We have] Andy Powers. He’s the best guitar designer and builder alive. He was born to design and build guitars, like I was. And he knows guitar history, which is something I don’t know enough about. How does traveling on the Gulfstream fit into your growth plans? They would not be possible without the airplane. With the jet, I can go away for a month at a time to accomplish things that would be impossible traveling on the airlines. Do you feel at all vulnerable to criticism as an environmentalist flying in a business jet? I understand that, but it’s really not a well-thought-out question. The benefit that we are bringing to preserving forests—not just in Africa, but Hawaii, Honduras, Asia, all over the world—far outweighs the tiny negative impact. Don’t those same environmentalists drive their cars to their environmental rallies? Do you ever use the airplane for personal travel? I have taken some vacations, but my family hasn’t been on the Gulfstream yet. For my 60th birthday, we planned a trip to Las Vegas, and my wife and daughters asked, “Do you think we could go on the plane?” So I looked into the Sarbox rules [Sarbanes-Oxley Act, a 2004 law governing personal use of business assets], and we did all the calculations on what we would pay the company for using the Hawker, and we went. It was great. What other benefits have you discovered from using a business jet? The time spent on the airplane can build relationships—with employees as well as business colleagues. Taking someone along on a trip is sharing, rather than giving. You might not offer to buy a business partner an airline ticket—it would be like a gift, and they would feel uncomfortable accepting it. But you can offer a seat on your own airplane and they’ll say yes. And you can do things with people that are impossible any other way. One time, a colleague and I wanted to attend [a business function] in Munich. We met up in Atlanta when I was on my way to Cameroon with some people from our factory and we stopped over in Munich for a half-day’s work; then he flew home on a commercial carrier, and we continued to Africa. That was only possible with our own jet. Do you use the airplane for domestic travel, also? Sure. I can go to Redding [California] to visit a sawmill and be back to my office that afternoon. The other good thing about the big cabin is that there are a lot of seats. When I have a trip like that coming up, I’ll walk through the office and say, “Anyone want to come?” And someone might say, “Yeah, I could really use a visit with so-and-so.” And they’ll get work done that they couldn’t do otherwise, and be back home that night. It’s normal for us to have seven or more people on the plane. You and Kurt seem to be the perfect match as business partners. And it sounds like your meeting back at American Dream was entirely random. Do you ever wonder about that? Kurt and I talk about this. We know we’re talented and we work hard for what we have. But whenever we’re tempted to think that we’re maybe more special than we really are, we remember “accidents” that have happened along the way. Without them, we wouldn’t have the success we have. Our meeting was one of those accidents; and it’s the best thing that ever happened. Bob Taylor is known for his efforts to preserve the endangered tonewoods used in guitar making, including ebony for fingerboards. In 2011, Taylor Guitars formed a joint venture with a Spanish tonewood supplier to purchase Crelicam, an ebony mill in the African nation of Cameroon, one of the few places where the wood can be found. “I believe in solving ecological problems through business—not by stopping business,” Taylor says. 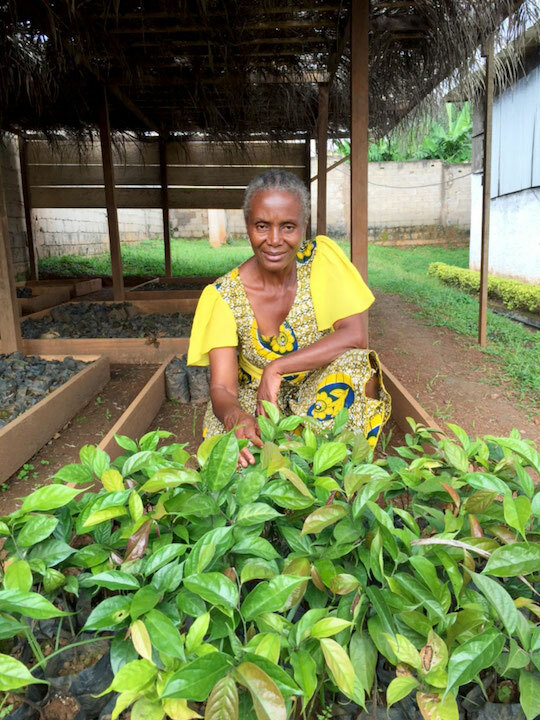 He notes that ebony trees take 70 years to mature, so people in Cameroon have had little incentive to plant them. Taylor is providing that incentive—and giving people incomes—by paying them to plant and care for the trees. He expects to launch his tree-planting programs in two villages per year and plant tens of thousands of ebony trees in the next two decades. Mark Phelps is a managing editor at AIN Publications, BJT’s parent company.